ZUG, Switzerland and BOSTON and CAMBRIDGE, Mass., Oct. 10, 2018 (GLOBE NEWSWIRE) -- CRISPR Therapeutics (NASDAQ:CRSP), a biopharmaceutical company focused on creating transformative gene-based medicines for serious diseases, and Vertex Pharmaceuticals Incorporated (NASDAQ:VRTX) today announced that the U.S. Food and Drug Administration (FDA) has lifted the clinical hold and accepted the Investigational New Drug application (IND) for CTX001 for the treatment of sickle cell disease (SCD). CTX001 is an investigational, autologous, gene-edited hematopoietic stem cell therapy for patients suffering from severe hemoglobinopathies. In addition to the acceptance of the IND announced today, CRISPR and Vertex previously announced that they had obtained approvals of Clinical Trial Applications for CTX001 in multiple countries outside the U.S. for both β-thalassemia and SCD. The companies remain on track to initiate a Phase 1/2 clinical study in SCD by the end of 2018 and are currently enrolling patients with transfusion dependent β-thalassemia in a Phase 1/2 trial in β-thalassemia in Europe. CTX001 is an investigational ex vivo CRISPR gene-edited therapy for patients suffering from β-thalassemia or sickle cell disease in which a patient’s hematopoietic stem cells are engineered to produce high levels of fetal hemoglobin (HbF; hemoglobin F) in red blood cells. HbF is a form of the oxygen carrying hemoglobin that is naturally present at birth and is then replaced by the adult form of hemoglobin. The elevation of HbF by CTX001 has the potential to alleviate transfusion-requirements for β-thalassemia patients and painful and debilitating sickle crises for sickle cell patients. CTX001 is being developed under a co-development and co-commercialization agreement between CRISPR Therapeutics and Vertex. The companies have obtained approvals of Clinical Trial Applications (CTA) in multiple countries for both β-thalassemia and sickle cell disease (SCD). CRISPR and Vertex entered into a strategic research collaboration in 2015 aimed at the discovery and development of gene editing treatments using the CRISPR/Cas9 technology to correct defects in specific gene targets known to cause or contribute to particular diseases. Vertex has exclusive rights to license up to six new CRISPR/Cas9-based treatments that emerge from the collaboration, and CTX001 represents the first treatment to emerge from the joint research program. 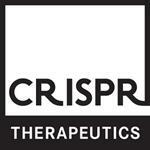 For CTX001, CRISPR and Vertex will equally share all research and development costs and profits worldwide. CRISPR Therapeutics is a leading gene editing company focused on developing transformative gene-based medicines for serious diseases using its proprietary CRISPR/Cas9 platform. CRISPR/Cas9 is a revolutionary gene editing technology that allows for precise, directed changes to genomic DNA. CRISPR Therapeutics has established a portfolio of therapeutic programs across a broad range of disease areas including hemoglobinopathies, oncology, regenerative medicine and rare diseases. To accelerate and expand its efforts, CRISPR Therapeutics has established strategic collaborations with leading companies including Bayer AG, Vertex Pharmaceuticals and ViaCyte, Inc.CRISPR Therapeutics AG is headquartered in Zug, Switzerland, with its wholly-owned U.S. subsidiary, CRISPR Therapeutics, Inc., and R&D operations based in Cambridge, Massachusetts, and business offices in London, United Kingdom. For more information, please visit www.crisprtx.com. Certain statements set forth in this press release constitute "forward-looking statements" within the meaning of the Private Securities Litigation Reform Act of 1995, as amended, including, but not limited to, statements concerning: the timing of filing of clinical trial applications and INDs, any approvals thereof and timing of commencement of clinical trials, the intellectual property coverage and positions of CRISPR Therapeutics, its licensors and third parties, the sufficiency of CRISPR Therapeutics’ cash resources and the therapeutic value, development, and commercial potential of CRISPR/Cas9 gene editing technologies and therapies. You are cautioned that forward-looking statements are inherently uncertain. Although CRISPR Therapeutics believes that such statements are based on reasonable assumptions within the bounds of its knowledge of its business and operations, the forward-looking statements are neither promises nor guarantees and they are necessarily subject to a high degree of uncertainty and risk. Actual performance and results may differ materially from those projected or suggested in the forward-looking statements due to various risks and uncertainties. These risks and uncertainties include, among others: uncertainties regarding the intellectual property protection for our technology and intellectual property belonging to third parties; uncertainties inherent in the initiation and completion of preclinical studies for CRISPR Therapeutics’ product candidates; availability and timing of results from preclinical studies; whether results from a preclinical trial will be predictive of future results of the future trials; expectations for regulatory approvals to conduct trials or to market products; and those risks and uncertainties described under the heading "Risk Factors" in CRISPR Therapeutics’ most recent annual report on Form 10-K, and in any other subsequent filings made by CRISPR Therapeutics with the U.S. Securities and Exchange Commission (SEC), which are available on the SEC's website at www.sec.gov. Existing and prospective investors are cautioned not to place undue reliance on these forward-looking statements, which speak only as of the date they are made. CRISPR Therapeutics disclaims any obligation or undertaking to update or revise any forward-looking statements contained in this press release, other than to the extent required by law. This press release contains forward-looking statements as defined in the Private Securities Litigation Reform Act of 1995, including, without limitation, the information provided regarding the status of, and expectations with respect to, the CTX001 clinical development program. While Vertex believes the forward-looking statements contained in this press release are accurate, these forward-looking statements represent the company's beliefs only as of the date of this press release, and there are a number of factors that could cause actual events or results to differ materially from those indicated by such forward-looking statements. 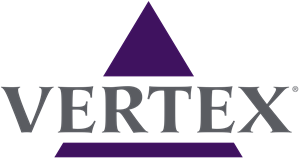 Those risks and uncertainties include that the development of CTX001 may not proceed due to safety, efficacy or other reasons, and other risks listed under Risk Factors in Vertex's annual report and quarterly reports filed with the Securities and Exchange Commission and available through the company's website at www.vrtx.com. Vertex disclaims any obligation to update the information contained in this press release as new information becomes available.